As you can see in the above image, it really does matter what images are shown in real estate. 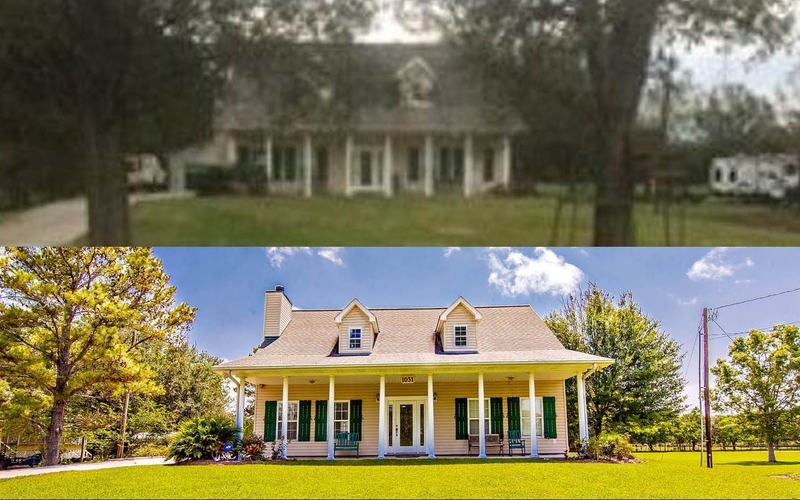 When looking at these images, would YOU buy the house done with the cell phone photos? Probably not!!!! That is what potential clients think when they see poor photography. In times past, people would ride around and they would look at houses from the curb, from their car. Thus the term "Curb Appeal" came into existence. Today, people do the same thing, but they do it from the comfort of their living room. On their phone, iPad, and computer!!! Make sure your real estate photography is done right! The only way that can done is you MUST hire a Professional Photographer!!! Kirk Voclain Photography has been doing Real Estate Photography now for many years. Our goal is to produce the very best!! THE VERY BEST images possible that will help sell your home fast!! And, here is the really beautiful thing about real estate photography, not only does real estate photography sell your home fast, it sells it closer to list price!!! We offer a 47+% Discount for Real Estate Agents and Associates (Check out our pricing link). We have found that hiring a Real Estate Agent is the fastest way to sell your home. Check out some of the other images on our page and see how important real estate professional photography is.